The controversial Value Added Tax (Amendment) Bill was approved by the House with 112 voting for and 46 against the Bill.Mr. Mahinda Rajapaksa was absent at the time of voting. 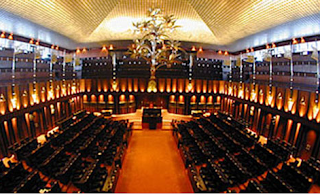 Chamal Rajapaksa, Prasanna Ranatunga, Deputy Minister Arundika Fernando and several MPs were absent. 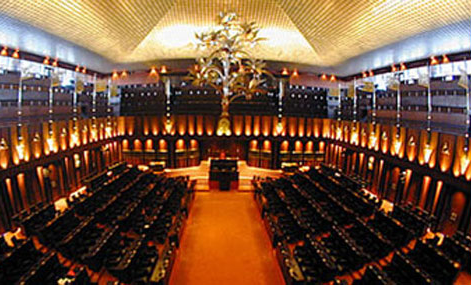 Several amendments moved to the Bill by Joint Opposition (JO) members meant to reduce the tax further from medical services were rejected by the Government. Finance Minister Ravi Karunanayake who took part in the debate earlier in the day said that government expects 1.8 billion rupee income this year from the revision of VAT. He said the Government had set as target Rs 10 billion as revenue from the VAT revision in 2016, but it was later reduced to Rs 6 billion when decision was taken to impose it after five months with effect fromMay 2. He said VAT has been imposed on post and telecommunication, liquor and tobacco to exempt health and housing sectors and smart phones but the Government has exempted many essential goods from VAT.